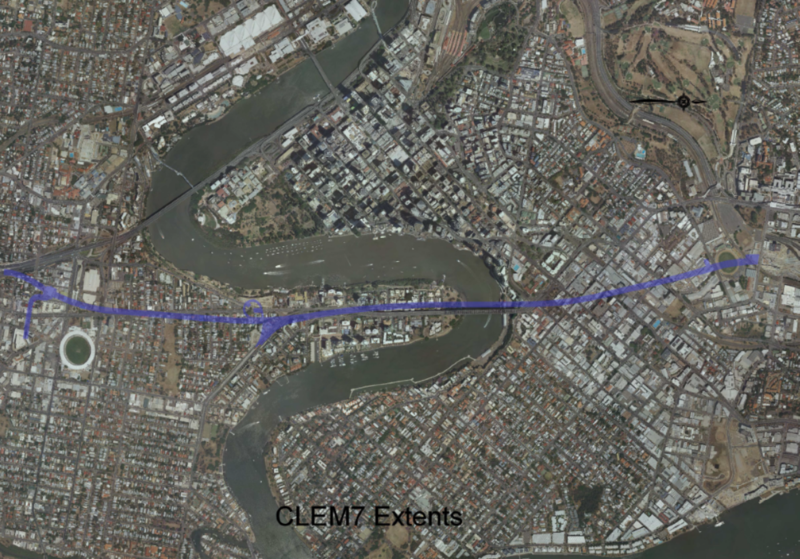 This 12d Model component here outlined was used across three major tunnelling projects - CLEM7, Legacy Way, and (to a lesser extent) the early stages of the Airport Link. The requirement was to produce information suitable for the land resumption process, which required plans for the Notices of Intention to Resume as well as final survey plans for registration and title transfer. Problems faced included the calculation of hundreds of volumetric resumption lots for major road tunnels. CLEM7 had approximately 330 volumetric resumptions, and Legacy Way had approximately 420 volumetric resumptions. The acquisition of the volumetric parcels had to be achieved so that the tunnel constructors had access to construct the tunnel, and the tunnel operators could be granted title to the tunnel to satisfy their bankers and be able to charge a toll. There was considerable risk to the Brisbane City Council if access to the land was not available for the constructors, and/or if the operators could not be given a lease at the completion of construction. The information required included the xyz locations, bearings and distances; volumes, areas, surface levels; and average depths of the volumetric parcels. There was a risk that for various reasons the calculations may have to be repeated and plans redrawn. The team needed a consistent process that was applied to all land parcels, and was repeatable. At the very least, they needed results that would be defensible and reproducible. Several survey suppliers were engaged to draft the plans, so it was necessary to be able to manage the files so they could be processed collectively and separated so the relevant information could be distributed to the relevant supplier. The problem was solved by the writing a macro (approximately 2500–3000 lines of code) to calculate the intersections of the tunnel resumption envelope with the surface cadastral lots. The surface cadastre was surveyed, reinstated and connected to the coordinate system that was used for the tunnel construction. This macro could calculate all the information necessary to produce survey plans of each lot along the entire length of a tunnel in minutes. The macro calculates the information for an individual volumetric resumption as a 12d model and produces a summary report of all the parcels calculated and an individual report for each parcel. It was necessary to relate the volumetric resumption lots to the surface terrain to calculate depths to the volumetric lot. This was achieved by using a surface TIN created from LiDAR data. The resumption calculation macro was supported by other macros to load the surveyed cadastral parcels, check the parcels for overlap or gaps and to load and check attribute information. Output of .12da files and 3D .dwg files was done using a ‘bulk’ writer macro to manage the writing of the data to sub folders for each survey plan supplier. The macro proved its worth when the volumetric land requirements were delivered well before the due dates. The flexibility provided by the macro was demonstrated when one of the projects changed the resumption requirements after one set of calculations had been completed, and the process had to be redone and the information issued a second time. The recalculation caused minimum delay to the project. A by-product of the process was the ability to graphically track the progress of the supply of plans. Using the attributes it was quite easy to colour code plans by their status, e.g. ‘no plan’, ‘proposal plan commissioned’, ‘proposal plan delivered’, ‘survey plan commissioned’, ‘survey plan delivered’. The innovation demonstrated in these projects allowed the team to combine the functionality of 12d Model (such as TIN manipulation, string manipulation, volume calculation, database manipulation, macro coding etc. ), to produce a result that does not fit into the standard range of 12d outputs and make their work on these projects much easier.